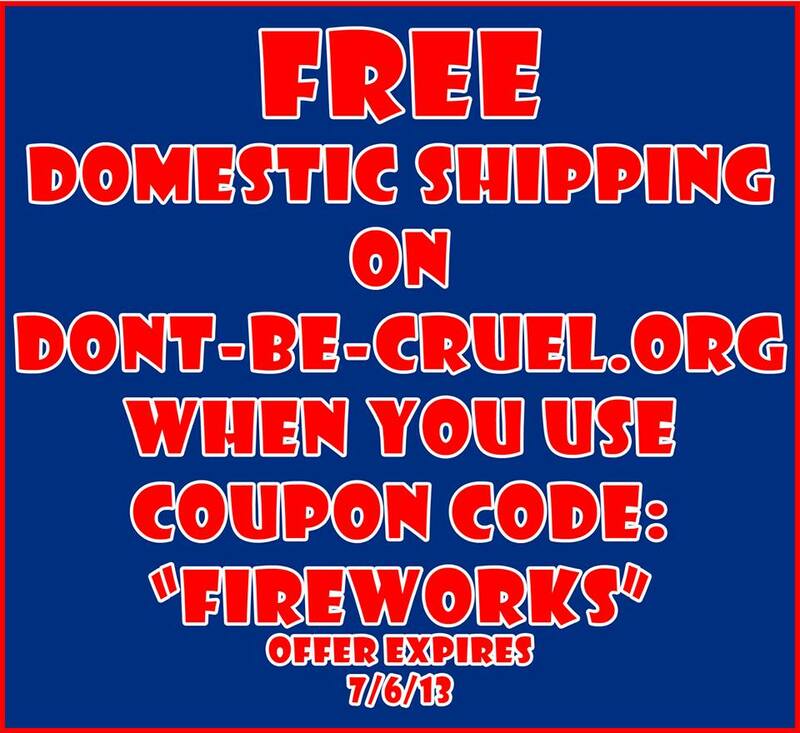 In honor of Fourth of July, we are doing a special on our Don’t Be Cruel web store. Use the code “FIREWORKS” to get free shipping from now until July 6, 2013. Remember, 100% of the proceeds collected from our Support Gear are ALWAYS donated to local shelters and rescue organizations. For questions about ordering, payments and shipping, please visit our FAQ page. For international shipping, please contact info@dont-be-cruel.org. This entry was posted in Sales & Promotions and tagged Don't Be Cruel store, free shipping on July 5, 2013 by Belkis Cardona-Rivera.